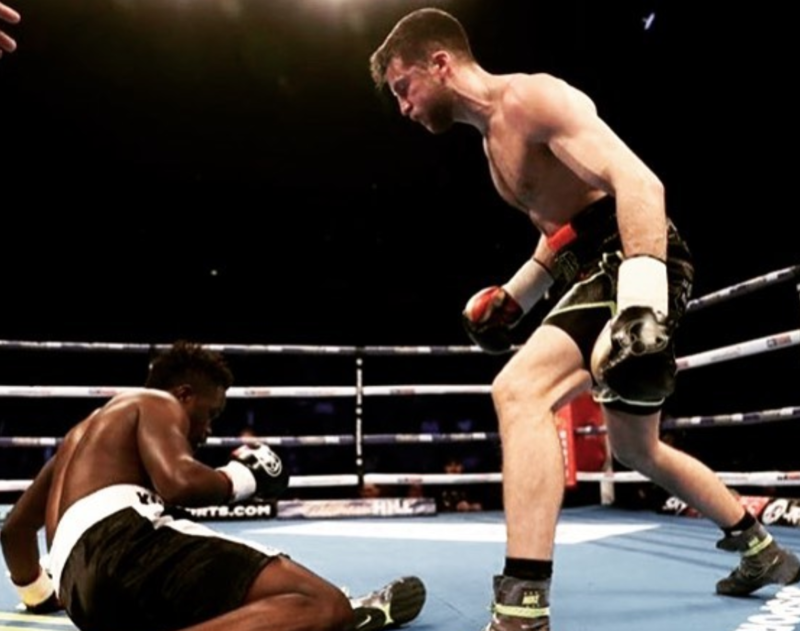 Anthony Fowler continued his unbeaten start in the professional ranks last Saturday after beating Kalilou Dembele inside the five rounds. The 27-year-old was dominant throughout his super-welterweight bout and put on an impressive display at the O2 Arena in London. ‘The Machine’ wore the Frenchman down in the first round, relentlessly working the body and keeping him on the outside. He got his reward early in the second, rocking Dembele and sending him to the canvas. Dembele recovered in the third and fourth rounds, but Anthony punished him early in the fifth with a stinging left hand that left him on the mat for the second time. Despite the French boxer returning to his feet, the referee stopped the fight, earning Fowler the victory. Anthony said: “I’m happy with how the fight went. I think I boxed well – I won every round and was in control. I’m glad I got the knockout for the win, too. “Dembele was game, he was tough and he came to win. He’s the first opponent I’ve fought with a bit of ambition – Everyone else I’ve just hit and they’ve gone into their shell and tried to survive but this fella didn’t. The result means a first loss for the previously unbeaten Dembele and another win on the perfect professional record of Fowler. Talking to us about his training camp, Anthony said his success is also down to the hard work of his team. Anthony re-located from his hometown to team up with Dave Coldwell in Rotherham. The experienced trainer has had a successful period of late, with Jamie and Gavin McDonnell winning title fights, the rise of Jordan Gill and world champions Tony Bellew’s famous win against David Haye. Fowler is enjoying the Coldwell experience, benefitting from technical and tactical improvements for the professional ranks. To support this, ‘The Machine’ teamed up with the Boxing Science team to enhance his physical performance. “My coach Dave has really helped me with my technique and Boxing Science have made me a much more explosive athlete. I’m hitting harder and I’m getting fitter all the time. “Boxing Science have been a great help to me. They keep trying different methods to improve my performance and it’s really working. Their training takes me to the next level – I feel fitter than I’ve ever felt. Anthony is due to fight again on April 21st in his hometown of Liverpool at the ECHO Arena. “Fighting in front of a home crowd won’t phase me. Whoever and wherever I fight, it’s a sport – The crowd can’t fight for me so I’m going to train just as hard for this one. Looking towards the future, Anthony’s eyes are locked on the championship belts. “My first goal is to win a title, regardless of what it is. I want the British title, the European title and then the World title. Impressed with Anthony’s training methods? Well, you can do the same with our ‘Train Like A Champion’ program. This is a series of e-books on strength and conditioning, nutrition, high-intensity conditioning and movement training guiding you to world-class physical performance. Our two 10-week programs are ideal for coaches to deliver sport science methods in their gym, for athletes to gain extra 10-15% on their opponents, or anyone wanting to get fitter, faster and stronger….. The Boxing Science program has helped hundreds of athletes get fitter, faster and stronger. We love hearing about the impressive results, and seeing the smart work pay off in the ring with amazing performances. Athletes like Anthony Fowler, Jordan Gill and Gavin McDonnell have all benefitted from the program recently – securing big wins with impressive performances, setting up for a BIG 2018! Now YOU have the opportunity to get your hands on ‘The Blueprint To Elite Performance’…. For THIS WEEK ONLY, we are providing you an amazing offer to purchase both Train Like A Champion programs in a special bundle.